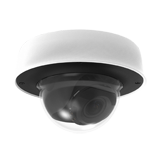 Centralized Cloud Management – The Meraki dashboard provides secure monitoring and management of all your cameras from anywhere in the world, no extra software required. 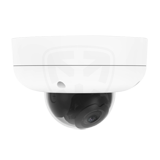 Super Secure – Cameras automatically purchase publicly signed SSL certificates and all Meraki management data is always encrypted by default. Everything's in the Box – With video storage and powerful hardware, there’s no need for an NVR or extra analytics packages. Bandwidth Conscious – A novel architecture places video storage on the camera, not in the cloud, ensuring mission critical network activities get the bandwidth they need. 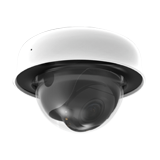 Cutting Edge Architecture – By utilizing solid state storage on each camera, the MV family has removed the network video recorder (NVR) and its complexity from the equation. 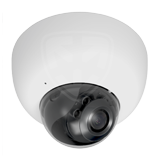 Secure By Default – Secure data is just as important as the smart cameras you choose. Meraki’s pedigree in networking security means MV is built to be secure from the ground up. By default, data is encrypted through every step. At Rest – Video is encrypted at rest on each camera, meaning you’ll never have to ask another ‘what if’ again, knowing your video is safe and sound straight out of the box. In Transport – All video streams, both local and remote, are secured with strong industry standard encryption. By using TLS with AES encryption, and publicly signed certificates, MV takes the guesswork out of retrieving video from the camera securely. View video natively in your web browser: no plug-ins or additional configuration required. During Management – Leveraging Meraki’s experience and expertise in keeping enterprise-grade networks safe from threats, MV also benefits from encrypted management and strong authentication. Say goodbye to flimsy hard-coded passwords and self-signed certificates, say hello to two factor authentication and peace of mind. Anytime, Anywhere – Stream local, stream remote. View customizable video walls from anywhere in the world using the Meraki dashboard in a web browser. Automatic Network Detection – The Meraki dashboard will automatically detect whether the viewing computer is in the local network or somewhere remote. Local streaming video never goes to the cloud, saving bandwidth, while remote streaming video is proxied through the cloud allowing it to be viewed from anywhere. Beyond Just Security – MV utilizes a powerful onboard processor to analyze video and provide valuable insights without the need to send those video files to the cloud or a local server. Motion Heat Maps – Quickly assess foot traffic in a retail store or monitor where hotel guests are congregating in the lobby. Motion heat maps only require a small amount of metadata, rather than bulky video files, to provide results with big impact. Available on all second generation camera models (with model number ending in 2). Object Detection – Learn which displays are attracting the most customers or how many people came to the office last Thursday. The ability to detect people using computer vision and increase accuracy over time through machine learning will provide deep business insights that were previously only possible with bulky servers. Available on all second generation camera models (with model number ending in 2). Privacy Matters – All MV analytics functionalities are anonymized to ensure privacy while still providing intelligence. You’ll know that a customer entered your store at 3:38, but not that her name is Sarah.